catunderfoot Love this sound and songwriting! Great album all the way through, though! Favorite track: She's A Ballad. 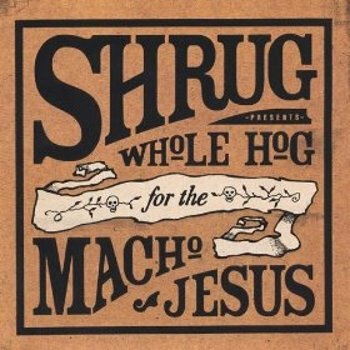 Whole Hog For The Macho Jesus, the new eight song disc from the long-time Dayton pop/rockers Shrug's, seems to be a kinder, gentler sort of Shrug than seen on previous releases such as Everything's Blowing Up Roses and their last self-titled release. Whole Hog's opener, "Wakeup, Sugarplum", finds the rockers taking it a little easy - until the chorus kicks in, that is. Add in some well-placed bass walk-downs and an already great song becomes unforgettable. Next, the light, alt. country "Further and Further" checks in, followed by "Laughter Tax" - one of my favorites on the record (though it was a tough to pick just one). "Laughter Tax" is a melodic, mid-tempo pop song with a sweetly sung chorus - "Give me laughter tax for my sins/it burns at first but it feels so nice when it begins." The beautiful, folksy, "All Around the Underworld" spotlights Weidner's songwriting skills even further, with lyrics like "Your car will emerge through explosions of birds/and huge half-truths and tiny words/I was born to sift this sand/and kiss the darkness where it stands." The chorus then digs deeper into Weidner's melancholy subconscious - "All around the underworld/fame is just a pretty girl/so sing her songs..." He sings with a voice full of character, telling the story in a way that each listener can fabricate their own illusions. 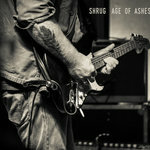 The remaining tracks, "Color Me Gone", "She's A Ballad", "Age Nowhere", and "Heroin(e)" are the kind of intelligent pop/rock Shrug is known for - although not quite the "I've got scratches on my arm/and I don't know how they got there" Shrug, but they still rock. Weidner rolls his poetic lines off of his tongue like pearls and his strict use of perfect rhyme pays off each and every time. 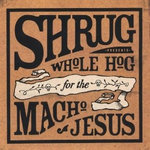 His words, paired with the solid musicianship make Whole Hog For The Macho Jesus a must-have. Not gonna say, "I believe"
Bring on the boys singing "be-bop-a-lu-la"
He said to say "Hello"